The first State Farm Champions Classic has been filled with emotion and excitement. The first game ended with Coach Krzyzewski’s Duke Blue Devils finishing off the Michigan State Spartans 74-69. This game was significant in more ways than just one. Not only did this game start the 3 year 4 team rotation that will be known as the State Farm Champions Classic but, it also set a new all-time record. As many of you know already Coach K has set the coaches win record surpassing Bob Knight with 903 career wins. In my opinion Michigan State played a much better game than expected. They really made the game exciting and Coach K’s victory that much more special. Bob Knight and Jay Bilas were in attendance at the game as commentators. Coach K played his college ball under Bob Knight and coached Jay Bilas during Bilas’ college playing days. As I sit here typing up this post the Kentucky/Kansas game is taking place and Kansas looks awful. Currently losing 48-37 with 12:55 left to go in the second half. As I watch this game I think of what’s on the line for each team that is participating in this event. Duke seems to be the only team expected to give North Carolina a challenge. Well, at least everyone I’ve talked to thinks so. Yes, North Carolina is going to be tough to beat but, so is Duke. 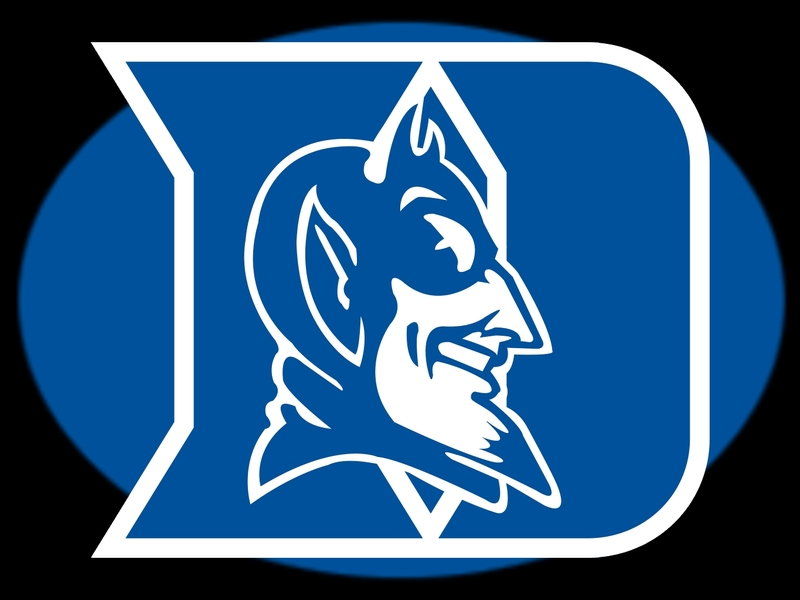 Duke has a lot of experience coming back and even though they lost some very very valuable and important assets from last season Duke brought in Austin Rivers, the highly talented freshman recruit and others. It’s still very early on in the season and I expect freshman for any team to struggle a bit, which was Rivers’ case tonight against Michigan State. With Coach K in charge and the return of many talented players I look for Duke to make a Final Four appearance this season. This is undoubtedly a big ole question mark of a season for the Spartans and their loyal fans. So far, they’re 0-2 but, they’ve played both North Carolina (Carrier Classic) and Duke. Two extremely solid and talented teams. Not the typical start of the season as most teams around the same caliber as Michigan State have played scrub teams. It’s tough to say how well the Spartans will do this year but I think their fortunes will be much better than what I previously thought. 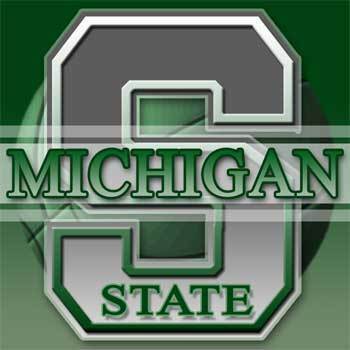 With two good showings this early in the season against top notch opponents I see this Spartan team to hit it’s stride right around Big Ten Tournament play and surprise some teams. Kentucky is completely dominating this Jayhawks team. This team is very intense and solid. Though they started out a little sloppy and seemed to be overly selfish in the first half they’ve come out in this second half and have played exemplary team basketball. They’ve began sharing the ball and getting the KU defenders out of place and most importantly have hit their open shots that they’ve earned. On the defensive end on the floor they’ve played outstanding team defense! If a KU ball handler gets by his defender he’s almost immediately cut off by help side D. I think this is good news and will just keep UK fans running their mouth about how awesome UK is. Little do they know, Calipari will have screwed them over like he did Memphis when the NCAA finds out he cheated…..again. Overall? Should be a solid season for UK but I see Vanderbilt surprising this team and making the SEC interesting. Simply looks terrible. Not the KU team fans are used to seeing in Lawrence. If Kansas can’t find a few more options to lean on throughout the season it’ll be a long season for KU fans. If Elijah Johnson continues to believe he needs to be the leading scorer, assist man, and the team KU could be in trouble. Let’s hope they learn from this loss and can turn it up a ton of notches and compete in the Big XII. If not, Baylor just may run away with it this season on the Big XII. Many of you have most likely heard the news that Michigan State and North Carolina are committed to playing the first ever basketball game on an aircraft carrier. For those of you who have not heard, well, now you know. 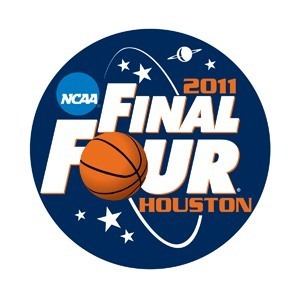 The game is to be played on November 11, 2011 (aka 11/11/11). 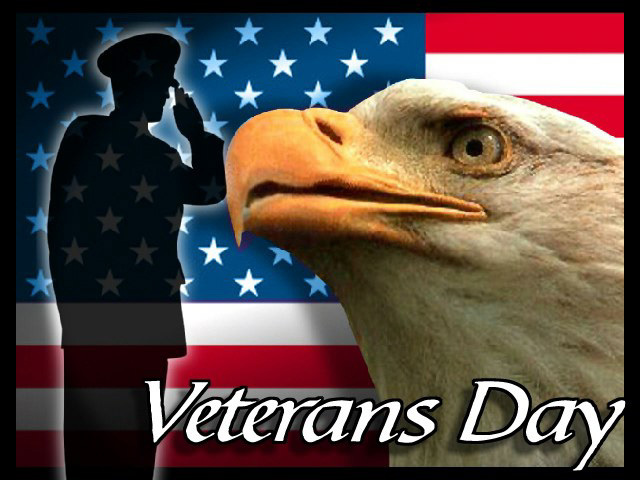 Which, is also Veterans Day. The carrier for the game to be played on is yet to be determined as is the approval from the U.S. Navy. Both schools have already sent in written commitments to the San Diego Sports Commission. This monumental game will be called the Carrier Classic! Some may love this idea. Playing one of America’s greatest past times aboard an aircraft carrier on Veterans Day. How much more patriotic can you get? 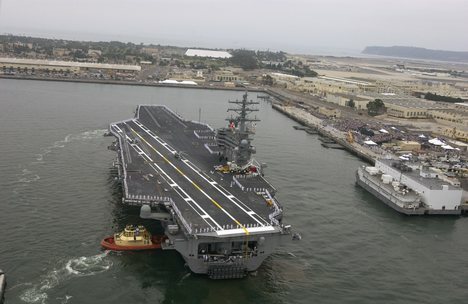 I would have to agree if I was in the Navy and I heard two big time college basketball programs were going to be playing on an aircraft carrier I would be praying it was my carrier. Who wouldn’t want to watch this game? I also think it’s a great idea and will be good for our troops. However, I’m a little hesitant to say that I “agree” with the idea. It hasn’t been determined whether or not the game will be played at sea or docked. With that in mind, if it is at sea where at? As a Communications major I know it is possible to broadcast an event like this live with the technology present. I really hope this game is played while the ship is docked though. I know aircraft carriers are huge ships but people can still get sea sick while at sea. It’s inevitable. I wonder how this would effect some of the players and coaching staff and heck even the referees. I’m just afraid that this type of game could be uglier than what most people expect if this game is to be played at sea. As I said before, I like this idea. 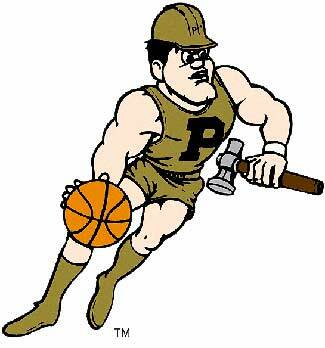 I think it will be great for our troops and college basketball and bring some pride back to America and an appreciation for all our current and former servicemen and women. I’m just worried that the quality of the game that will be played could hurt the image of college basketball. I don’t believe the damage will be significant but I do see room for criticism after this game is played. If you ask me this tournament blows. Honestly I want to watch the best teams from the entire year not just who got hot for a week or maybe even two! However, I’m here to give my thoughts on the upcoming Sweet 16 match-ups. Hope you enjoy! Ohio State vs. Kentucky: Ohio State has been the most consistent and dominating team this season. Winning the regular season Big Ten title and the Big Ten Conference championship. 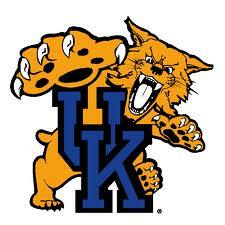 Although Kentucky has shown some toughness and good play I don’t see much hope for the Wildcats. As much as I hate to say it, Ohio State will most like dominate the Wildcats and move on to the Elite 8 with another very impressive victory. Marquette vs. North Carolina: Marquette has been a surprise this tournament (just as every other team left besides a few). I had Marquette losing 1st round but they’ve proven me wrong not just once but by also beating Syracuse. Everybody wants to talk about playing close to home…I don’t think that means anything come tournament time. Marquette took down Syracuse in Newark, New Jersey and Purdue got pounded by VCU in Chicago. And UCN barely escaped Washington in their own back yard, Washington had traveled somewhere close to 2,000 miles compared to UNC only going about 140 miles. If you watched the UNC/Washington game you’ll agree that UNC didn’t win that game but Washington lost that game. I’m still not impressed with the TarHeels but think they have just as good of a shot as anybody but, I think Marquette will prevail in this one by playing tough defense and breaking down UNC’s almost non-existent defense at the other end of the floor. Marquette > UNC in a close game. Duke vs. Arizona: Duke escaped Michigan by a two point margin, which nobody expected to happen. Arizona took down Texas on a 3 point play by Derrick Williams in the closing seconds of the game. Two close games that two good teams won. But, Duke has been here before in more recent history. I think Nolan Smith and Kyrie Irving will be able to lock down Arizona’s guard but the opposite will not happen. Duke needs a hot shooting night from Seth Curry if they don’t want to make it interesting. I think Derrick Williams will have a big game but Duke wins. I think Coach K’s squad wants to be the team that ties Bob Knight’s all time wins record for Coach K, just a little extra motivation. Uconn vs San Diego State: I feel bad for anybody who has SDSU going any further than this game. One of my friends has BYU and SDSU in the final game with SDSU winning it all. He knows nothing about college basketball but might be on to something. I don’t usually like to be proven wrong but hey it happens. However, I think Uconn is just too tough and has better big game experience. Plus, Uconn has Kemba Walker, whose in the running for Player of the Year (POY). I don’t see SDSU’s luck making it past the Sweet 16. Uconn wins by 9. Kansas vs. Richmond: I think it’s fair to say that this region is a mess. I hate it. I’m not looking forward to watching these games. I think this game in particular is going to be a blow out. 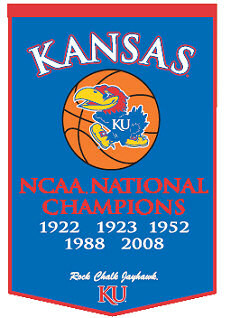 Kansas wins big, that’s all I have to say. Actually, the Morris Twins are going to win this game with a bit of help from the guards (getting them the ball that is). Sorry Richmond, your Cinderella story is over. VCU vs. FSU: I don’t want to watch this game. Maybe VCU will prove me wrong but I see them cooling off this round after 4 days off. I strong feel that out of the 16 teams left that only 6 or 7 belong, and these two teams are not in that category. Regardless FSU wins with good defensive and and rebounding. Butler vs. Wisconsin: For once I’m actually looking forward to watching this game. I think it’s going to be interesting watching the two different styles play. 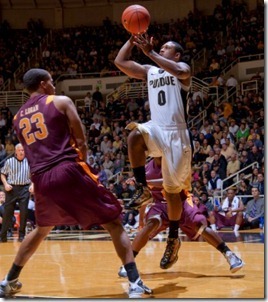 I think Bo Ryan and his defense will be able to hold Butler in Check. But, if Shelvin Mack stays hot he’s going to be hard to stop which could frustrate the Badgers. But, I think Butler is at it again and pulls off another so called upset and advances to the Sweet 16 for the second straight year in a row on a buzzer beater by Howard! BYU vs. Florida: I think Jimmer stays hot and frustrates Florida’s defense. I like Florida’s team play and their ability to get open looks. However, this is the one year where mid-majors have whooped big conferences butts so I’m going BYU in this game. I’ve basically been wrong with every prediction. But like I said before they’re only predictions. So if you want your team to win that I have winning don’t hate me when they get beat. And if I have your team losing and they win I don’t want to hear any smack talk about how wrong I was. Like I said I’m not looking forward to watching too many of these games. I think once it’s down to the Final Four, when the best teams left weed out the undeserving competition, it’ll be much more interesting. Until then sit back and have a nice cold one to help you get through this weekends games. I’ll be posting some more in depth reports later tonight and tomorrow before games resume on Thursday. Keep your eyes open for new posts! The North Carolina/Washington game was an exciting game to watch from start to finish. 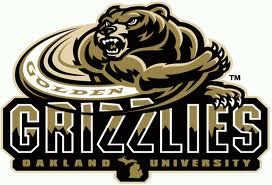 I didn’t get a chance to watch either team very much during the regular season or during conference tournaments. However, I took a few notes that I think were key to success and failure. I’ll also get to the controversial call at the end of the game. 1st, I’m not very impressed with UNC. I am impressed with Harrison Barnes, Tyler Zeller, and Kendall Marshall. Barnes can score and create his own shots like nobody else I’ve seen this year, maybe I shouldn’t forget about Kemba and Jimmer? Barnes literally took control of the game for about 3 minutes and led UNC on a couple runs that gave them the lead. Personally I think the kid is living up to all the hype. Tyler Zeller is a tough player that can finish at the rim. I was very impressed with Zeller. I was also amazed by Kendall Marshall. 14 assists in a tournament game is big time! However, I’m not sure UNC has the team discipline needed to win a national championship. Too many times I watched UNC break down defensively and give up easy shots. There wasn’t a sense of urgency or hustle on the defensive end of the floor. If I was a Tarheel fan I would be a little concerned. Also, Roy Williams’ teams like to run and get a lot of transition and fast break points. They’re usually pretty solid at getting back on defense in the transition game. I know that Washington likes to push the tempo too but I saw Washington beat UNC down the floor and get some good looks. Again this addresses UNC’s hustle issue. 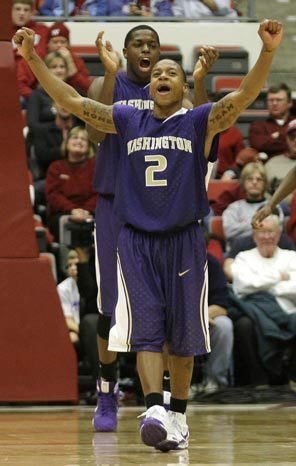 I had Washington taking this game and advancing to the Sweet 16, I was wrong. I don’t think Washington deserved to win any more than I think UNC deserved to win. Both teams played outstanding. However, Washington made a few too many mistakes during a crucial time period towards the end of the game. The Huskies turned the ball over a couple of times at very inopportune times and also took some bad shots that ended with empty possessions. I can’t stress enough how debilitating empty possessions are in the last 5 minutes of the game. Even though Washington loss I was fairly impressed with them. As I mentioned above Roy Williams likes to have his guys out on that floor running it to death. The Huskies ability to beat them at their own game was eye opening and a lot of fun to watch. Isaiah Thomas’s performance was anything but electrifying like it has been in the past. Much of the Huskies success came from his solid play and ability to score. I think the Huskies were looking for and needed more out of him today scoring wise. He finished the game with 12 points. Something to note is Terrence Ross’s game high 19 points for Washington. He gave the Huskies a huge lift off the Washington bench. I don’t think UNC will make it much further in the tournament. I predict Syracuse being able to take care of business by playing disciplined basketball and controlling the tempo. As for the ending of the game I have a problem with the referees not attempting to make sure they had the right amount of time left on the clock. I know the rules state that the clock is supposed to be stopped on the referees whistle but, I know for a fact that I’ve seen referee crews go to the monitors and put time back on the clock when the ball hit out of bounds. The rules are the rules but I really wish they would have taken another look at the monitors. I have a few thoughts on this Thursday’s match ups. I think the nation will be shocked by what they will see and even more shocked by my predictions and upsets I have picked. All these games I have on my bracket (I only have one bracket. I hate people who have a billion brackets filled out. 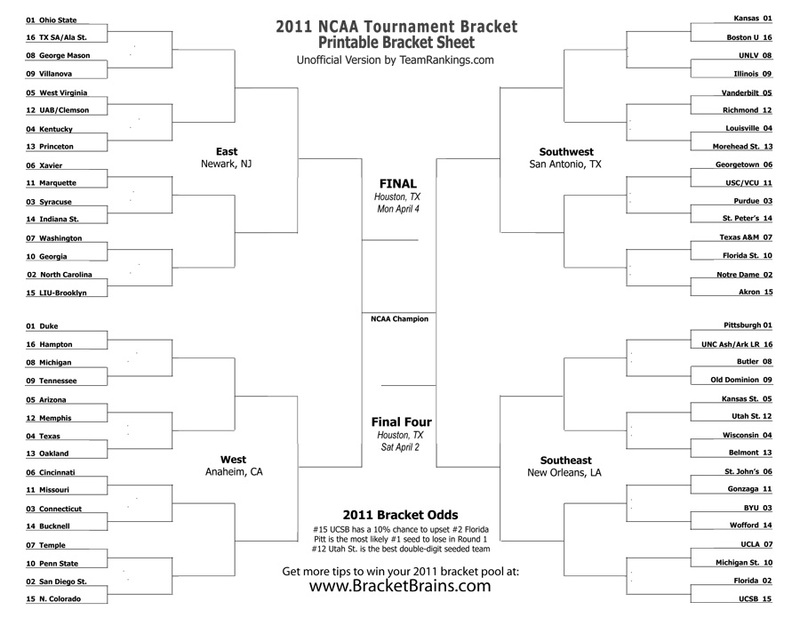 Your bound to be successful in one pool if you fill out 10 brackets, amateurs). Obviously I have Ohio State advancing. Louisville > Morehead St. Gotta love the in state match up though! I’ve mentioned in a reply to a comment that I’ve received that I’m unhappy and strongly disagree with some of the seedings. Some of the match ups will be interesting and I see a lot of potential upsets. The above mentioned upsets may sound ridiculous but how many people picked George Mason to make the run they made a few years back? They may be unlikely and I realize this. However, anything can happen and if I call these games correctly I look like a genius and if not who really cares. I could care less either way. I would like to hear all of your thoughts and points of views. Especially if you think some different upsets may happen I’d be very interested in hearing your reasons of why. Leave a comment and let everyone else know your opinion. Finally, March is here! I know it’s been a long while since I’ve posted. I spent my spring break in the Bahamas without internet access. It was difficult not being able to keep up with all the scores and games but I can’t complain, I was in the Bahamas. For this post I’m just going to post a few thoughts about Selection Sunday and some of the match ups. This years tournament is crazy. I strongly disagree with some of the seeding and with who got in and who didn’t. I’m not going to get into all the numbers or reasons as to why I think a team should have or shouldn’t have gotten in. But here are some teams I really thought should have gotten in. 2. Virginia Tech I thought should have been in as well. VT’s resume isn’t as strong as some others but I do think the Hokies should’ve been given a chance. I can easily pick a few teams that I don’t think should be in where VT would fit well (or more deserving). Virginia Tech has wins over Florida State, Penn State, and Duke and some close losses to Purdue and North Carolina. I think Malcolm Delaney could have made things interesting in this years tournament. 3. I’m not sure why but I’m a big fan of Missouri State this year. They come out of the Missouri Valley Conference which has provided some very interesting games in the tournament in years past (including Northern Iowa’s upset over 1 seed Kansas in 2010 as a 9 seed). The Bears don’t have many shocking wins but put up a very close game against Tennessee. I still don’t agree with some of the teams that got in and I feel like it would have been fun to watch Missouri State make some noise in this years big dance. To me these teams lucked into the tournament. These teams did not impress me during the season and I feel the Selection Committee could have chosen different teams that would have made the tournament more enjoyable to watch. Such as Alabama, Cleveland State, Saint Mary’s,even Harvard should have made it, and the fore mentioned teams above. I’m also a little heated over some of the seedings that some teams received. I was very surprised that Georgia (who was supposedly a bubble team) got a 10 seed. I was really confused when I saw North Carolina receive a 2 seed as well as Florida. Both the ACC and SEC were pretty weak conference this season and I don’t feel as if either team truly deserved a 2 seed. San Diego State finally has an opportunity to prove me wrong. 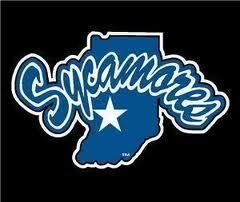 I can’t believe they received a 2 seed over BYU who beat them twice. Personally I have Penn State beating San Diego State. That’s how much I disrespect SDSU, plus Talor Battle is on fire as of late. I thought Texas and Louisville deserved a 2 seed. I also think St. Johns should have been seeded higher. Other than that I thought the seeds were distributed as they should have been. This years tournament should be very interesting and I “CAN’T WAIT” (to quote the infamous Bart Scott) til Thursday when the tourney takes off on the road to crown 2011’s National Champion!